Co-Active Coaching was first published in 1998, but is in its third edition due to popular demand. Considered the “bible of coaching” by some coaches, this book was written by the founders of The Coaches Training Institute and includes proven coaching tools and principles on which many coach training programs base their curriculums. Co-Active Coaching is used as a text book in many schools and also used by organizations to help managers learn to use coaching skills with their employees. 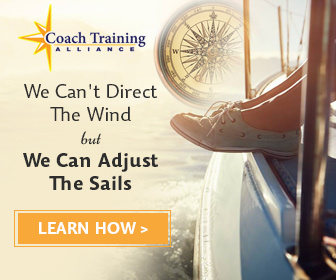 Co-Active Coaching provides you with coaching tools, skillsets and specific strategies to help you succeed as a coach. Further, the book covers ethical frameworks and coaching philosophies to ensure you understand the core of coaching and its purposes in life and business. After reading this book, you will understand the fundamentals of coaching and have specific tools to practice in your daily life, be it work or personal. Regardless of the specific coaching path you plan to take, Co-Active Coaching is the most comprehensive approach you can get without an actual training program. 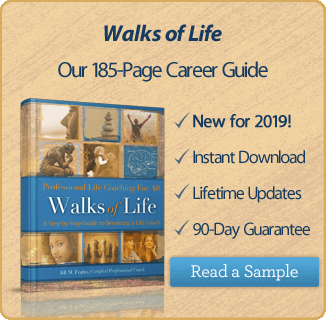 Often called the “original life coach”, Dr. Cherie Carter-Scott has been coaching since 1974, long before many current coach training programs were even in existence. In Transformational Life Coaching, Dr. Carter-Scott and her business partner Lynn U Stewart share concrete strategies and skills they have used successfully with clients both in coaching and training them to become coaches. This book includes specific tools they use in training coaches through their organization, Motivation Management Services. One thing that is unique about this book is that the coaching experience is discussed from the perspective of both the coach and the coachee. The book’s focus is on what it takes to be a “brilliant coach”, which in the authors’ definition is a coach that makes an authentic connection with their client to create and sustain meaningful change. This book helps you fully understand what it takes to be a successful coach. While the first two books focus on providing you with tools and skills covering the full spectrum of coaching, Coaching Questions focuses specifically on one of the most important skills coaches use- asking powerful questions. In this book, Author and Master Coach Tony Stoltzfus collaborated with 12 additional coaches to present tools and exercises for asking powerful questions. These are supported by more than 1000 examples of empowering questions. Used by professionals and novices, the books covers techniques ranging from basic to advanced. This book is a great resource for aspiring and practicing coaches alike.